Mount Fansipan, mount Hong Linh or Bach Ma national park are enchanting trekking destinations in Vietnam. Trekking is a long walk to remote villages, jungles, mountains and other distant regions, to discover new lands and experience new life. Three-fourths area of Vietnam is mountains and hills. 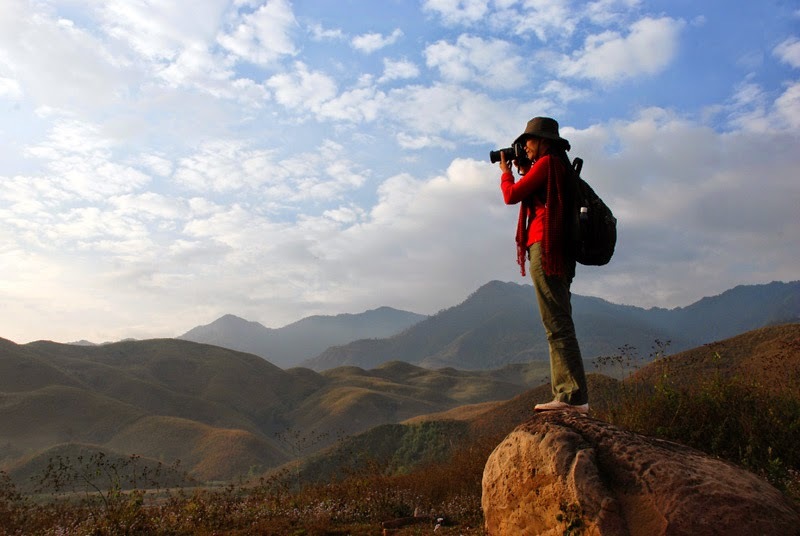 With mountainous terrain, Vietnam has many ideal areas for trekking and hiking. 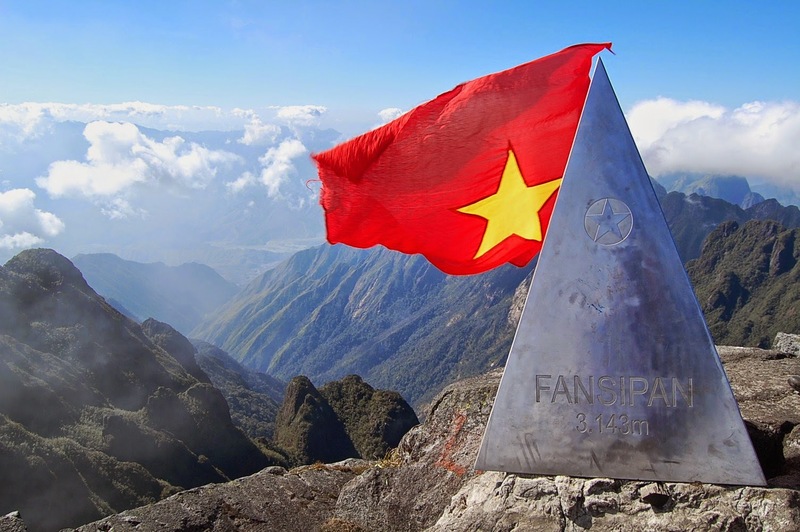 Fansipan is the highest mountain in Vietnam and Indochina peninsula, and also was dubbed as “The roof of Indochina”. 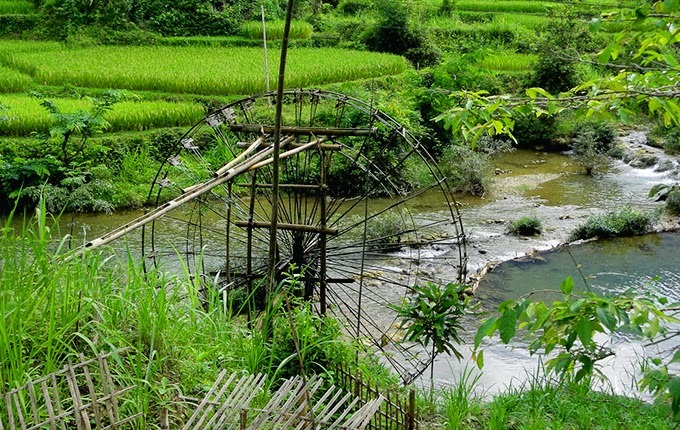 It is just 9 km from Sapa to the southwest, which is a hot attraction of Vietnam travel. Therefore, if get a trekking tour to Sapa, travelers can take an adventure to this mount on the same occasion. This peak is regarded as a top conquering target to Vietnamese backpackers. With the height of 3,143 meters, travelers can conquer this mount by three various ways. The easiest route departs from Tram Ton to the peak then come back by just this way. The time trekking lasts 2-3 days. The second route lasts about 4 days with the road length is 19.5 km, starting from “the spine” of Hoang Lien Son mountain range. Also departing from Tram Ton, but for the return road, travelers will pass through Muong Hoa valley, Cat Cat spring and go along the eastern flank of Hoang Lien range. The third route is more difficult as departing from Doc Mit, Binh Lu to the top. This is an extremely dangerous route and just professional climbers with full of equipment dare to take it. There are also other routes, which can be longer or shorter, lead climbers pass through some special scenes. Depending on hobbies, healthy and time, travelers can choose a suitable route for self. You can consult Fansipan routes at here. 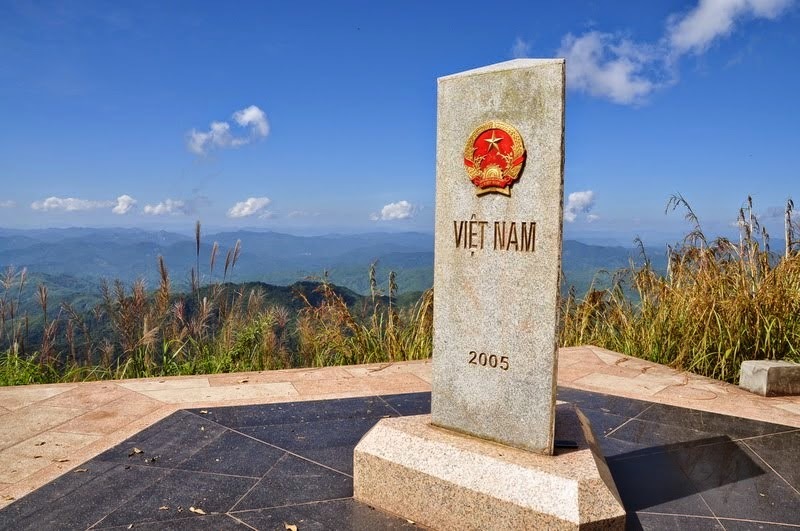 Known as the westernmost point of Vietnam, Apachai is located in Xin Thau commune, Muong Nhe district, Dien Bien province. This is the special border fork of Vietnam, Laos and China. The road is not too hard like one to Fansipan. But trekking tours to this region still make many travelers depressed. The Apachai landmark conquest usually takes place in the day-time. Depending on weather conditions, travelers will have to spend 3 to 5 hours for ascending and descending. After a long journey of coming over blady grass hills high over a person’s head and the primeval forest, you will see firsthand this historical landmark. Apachai landmark is at the altitude of 1,400 meters above the sea level. It was made of granite with the square platform facing three directions. Each side was engraved a country name by Vietnamese alphabet and a national emblem of three countries Vietnam, Laos and China. 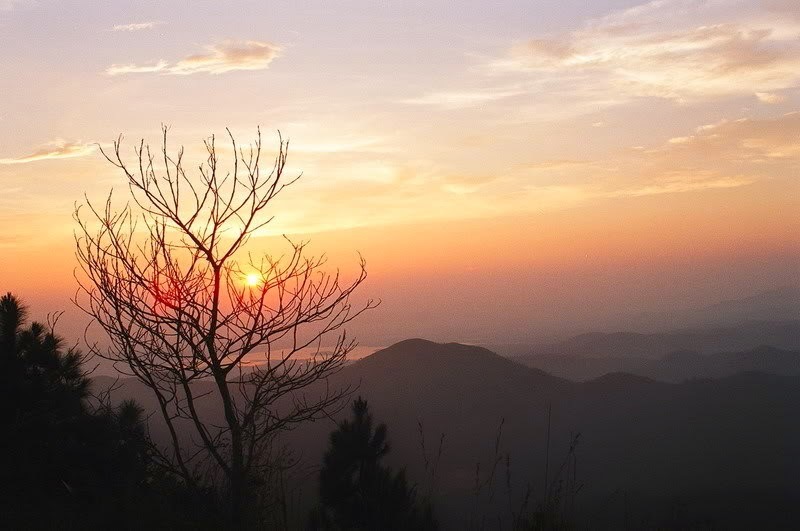 Located 40 km from the central Hanoi, Ham Lon mountain is an ideal weekend trekking destination for many people. With the height of 462 meters, this mount is usually opted as a practice and rehearsal place for trekking tours of Fansipan or Apachai. Travelers normally have 2 routes to conquer this peak. With the easier one, hikers follow a flat trail, few bushes and it takes about 2 hours. The second way is appropriate to adventurous people, going along the stream. The travel time is around 4 hours. Hikers should bring along camping tents to stay overnight on the mountain to contemplate amazingly beautiful scenery of the dawn and the sunset. 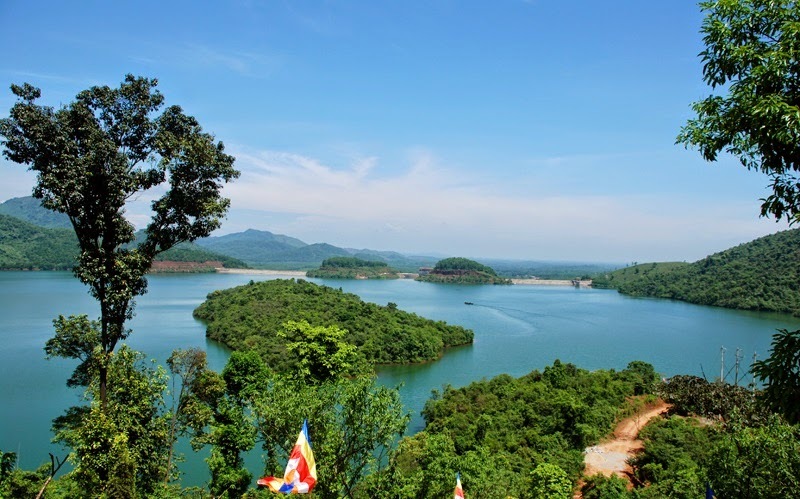 Pu Luong national park is a nature reserve zone located in the northwest of Thanh Hoa province. This area belongs to the locality of two districts: Quan Hoa and Ba Thuoc. With the area of 17,662 ha, this is the largest karst forest and lowland that remains in northern Vietnam. 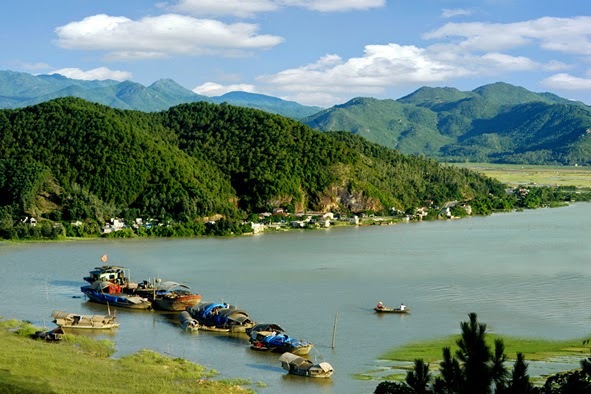 Pu Luong has mainly three kinds of thick forest, comprising lowland and low-mountain jungles, jungles on limestone mountains, and floristic composition of bamboos and shrubs. Not only that, this national park has mount Pu Luong with the height of 1,700 meters. 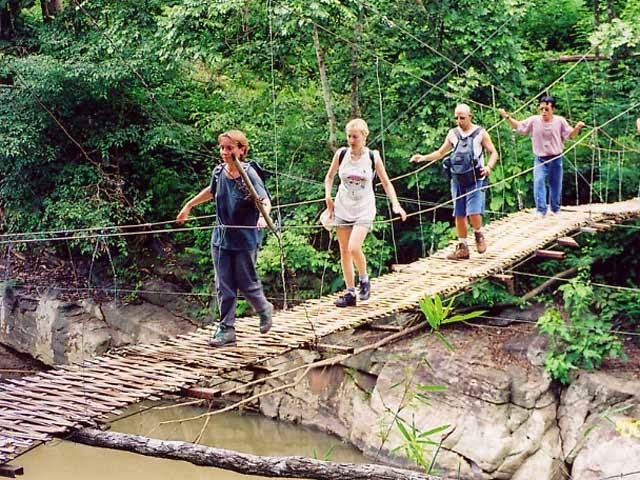 Trekking in Pu Luong nature reserve attracts many travelers. With 5 hours for conquering targets, climbers will gain unforgettable experiences. As the most famous mountain in Ha Tinh, mount Hong Linh is so-called as Ngan Hong or Ru Hoong. The mountain lies between Hong Linh township and two districts of Nghi Xuan, Can Truong. This is one of a few place names carved into “Bach khoa thu cuu dinh” presently placed in Hue Imperial Citadel (9 big bronze incense burners, which have been used as an encyclopedia). Hong Linh has many summits, from the northwest to the foot, there are included the tops of Nam Ban, Yen Xuan, Da Hong and Cot Co. Besides, the area owns numerous caves, consisting of 12 Cua cave (12-Entrance cave), Che Hai, Da Hang, Ham Rong, along with 26 rivulets flowing from the mountain. Conquering this mountains, climbers can search more about interesting legends and historical stories. “Da Lat of the Centre” is the name people give for Bach Ma national park. Located about 40 km from the south of Hue city, Bach Ma looks like a white horse stretching its legs out the big sea (Bach: white, Ma: horse). The area is a part of North Truong Son range (Annamite Mountains) and the centre of the forest strip stretching from Bien Dong (the East Sea) to the border of Vietnam and Laos. Reaching the peak of Bach Ma at the altitude of 1,500 meters, travelers have to overcome a long journey with the road length of 19 km from the mountain foot. The way is meandering and steep. However, the higher the hiking up, the more spectacular the scenery is, which make travelers rejoice. Trekking duration is about 3 to 4 hours.